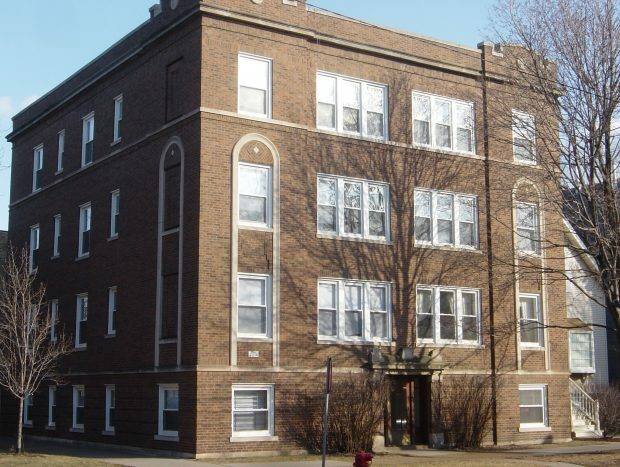 3 Story walk-up in an excellent Wrigleyville location on quiet tree lined street. 7 two bedroom apartments. Formal Dining rooms. Many have decorative fireplaces. Linen closets. Enclosed sun room. New kitchens with dishwashers & microwaves. Brick patio out back for grilling shared with building next door. Tenants pay for dryer gas.